Video Diary 5: Christmas festivities on the JR! closed, and no door at the bottom; this is literally a bottom-less pool. wrapped around the drillstring. 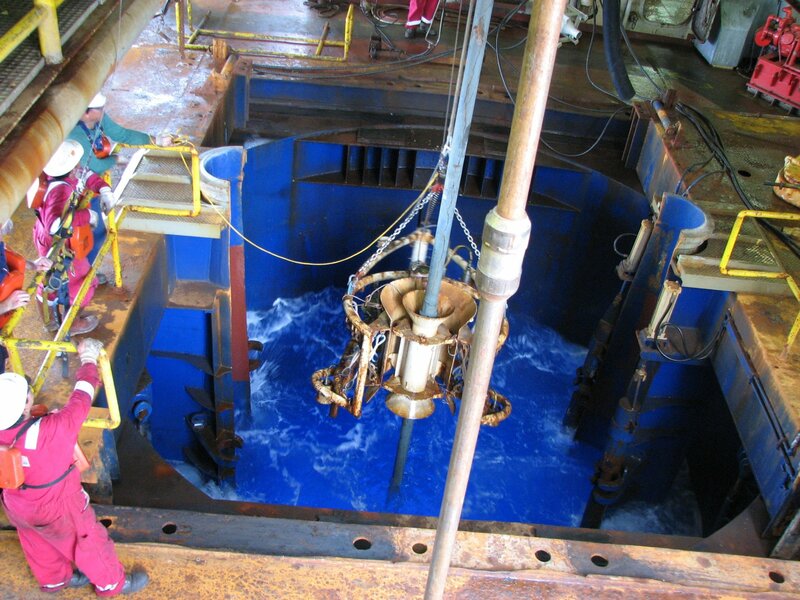 It is about to be lowered to the seafloor.